What is wscntfy.exe? Should I remove it? 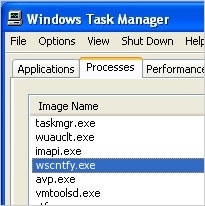 wscntfy.exe is the executable file of Windows XP Service Pack 2. This application is also known as Windows Security Center Notify Application and is responsible for displaying the icons on PC's desktop with such information as Windows updates' status, state of virus protection and firewall status. Beware that wscntfy.exe can hardly be found on those computers that run Windows Vista and Windows 7 OS, so if you noticed it on this system, you should check your computer with anti-spyware. It's not a core system file, so if you think that this service is, you can disable it by going “Services” and then disabling Security Center . However, security experts do NOT recommend doing this because this can make your PC vulnerable to other threats. 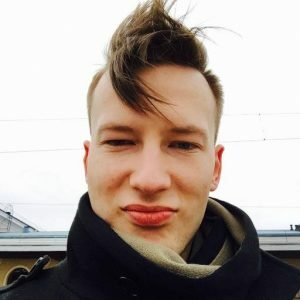 If you noticed wscntfy.exe on Windows Vista/Windows 7, you should check your computer with reliable anti-spyware because it might be that it's infected with the Rivarts trojan horse. Other viruses, such as trojans, worms and rogue, may also use the name of this file in order to hide their presence on the system. If you want to check the trustworthiness of wscntfy.exe, we recommend using RegCure Pro. This entry was posted on 2014-03-13 at 07:31 and is filed under Application files, Files. You can quickly scan the QR code with your mobile device and have wscntfy.exe manual removal instructions right in your pocket.